It is my understanding that the 20ltr white plastic water container is being discontinued, with no refunds for the deposit. Maybe it's just my supplier. I am in the Nong Bua area of Udon Thani, just behind the waterworks. This does not affect the blue/green water containers, just the opaque white plastic ones. They were discontinued around here about a year ago, now in this area only the green/blue bottles. Apparently the white ones were made with recycled plastic and contained a few nasties. Why are you concerned about the small deposit (45 baht)? surely your health is worth more than 45 baht. Thanks for the reply, the deposit here is 120 baht by the way. Been using these well over a decade and up to now ive only lost 4 fingers and a big toe. Hells teeth 120 baht, robbing bar stewards, here in Issan 45 baht for the white ones, 90 baht for the green/blue ones. 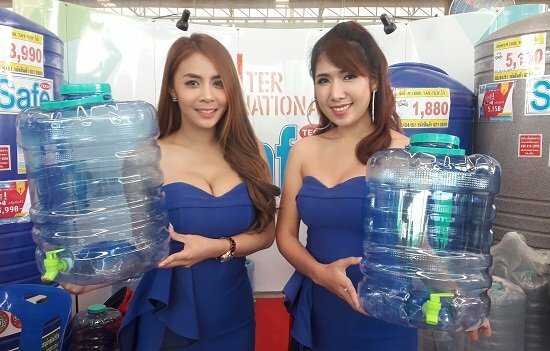 Some jugs are worth paying 125 baht.